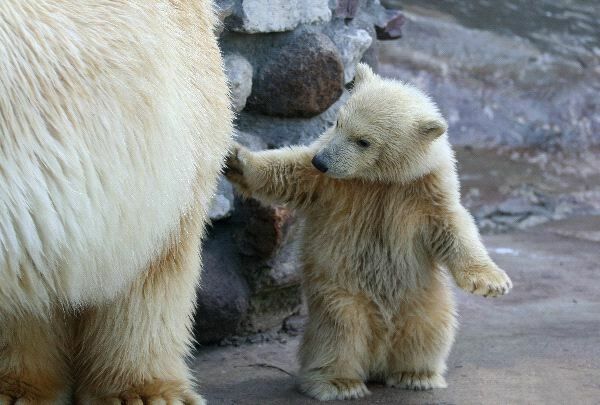 The Polar Bear offers a white or yellow fur coat that is very thick. They are able to live in the extremely cold regions of Antarctica. They feed on seals that come to the surface of the water for air. They have very large paws, small ears, and a long snout. The Polar Bear is able to change how weight is distributed which is why it is able to walk on the frozen ice within it breaking under them. They are great swimmers but spend most of their time on land. They do hibernate in dens in the winter months. They range in size based on gender and location from 900 to 1,600 pounds.